We are educators, administrators and campus ministers. We serve in healthcare and in home care. We minister to the poor and the incarcerated. 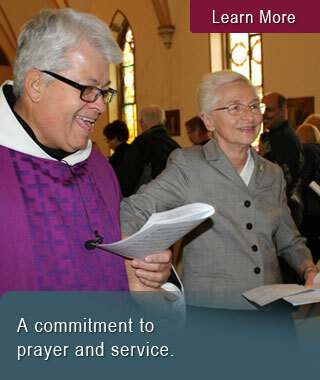 We work in parishes and dioceses. We are artists, musicians and writers. We serve in social service agencies. We are volunteers and caregivers. We are counselors and mentors. We are all this and more. We are the Joliet Franciscans. The St. Clare House of Prayer was founded in 1968 in Kankakee, Illinois. 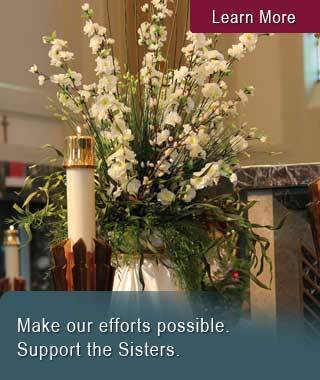 For more than 40 years, the Sisters in residence welcomed other Sisters and laity to renew their spiritual sides. In 2008, the Prayer House moved to Joliet and was renamed the St. Clare Prayer House. Located within the Village at Our Lady of Angels, the Prayer House has returned to its original roots as a contemplative community while still providing spiritual guidance through one-to-one meetings and group prayer with Sisters and laity.